Having not been to the games at Bristol Rovers and Torquay I was looking forward to seeing Ben Mee for the first time, and this afternoon's news of his City team mate Kieran Trippier arriving meant two new players to get watch. Outside the ground I was surprised to see some of the players arriving very late for the game. Chris McCann, David Edgar and Jay Rodriguez all walked past and once the team news arrived it was all explained. None of them were involved and neither were any of Brian Jensen, Andre Bikey, Mee or Dean Marney. They all had a watching brief and weren't even on the bench which was made up totally of development and youth squad players. Trippier was at right back for the soon to be departed Tyrone Mears and he played in a back four alongside Michael Duff, Brian Easton and Danny Fox in front of goalkeeper Lee Grant. We played 4-4-2 with Wade Elliott and Marvin Bartley occupying the central roles with Ross Wallace (right) and Alex MacDonald (left) on the flanks and Martin Paterson partnering Charlie Austin up front. Oldham had the first opportunity of the night but the effort came back of the goal net stanchion and there was little else of note as both sides struggled to make much headway. The friendly at Oldham last season was a feisty affair and this wasn't much different. I don't think I've ever seen so many free kicks in a friendly. Part of it was an over fussy referee but there were some concerning challenges going in and had this been a league game I'm sure there would have been any number of cards. In the end there was just one card, a yellow one, going the way of Oldham's Filipe Morais who was very quickly substituted. We even had a brawl involving a good number of the players at one point that the referee and his equally inept assistant struggled to deal with. The nearest Burnley came to a goal was early in the second half when Austin got behind the centre half to get on the end of an excellent Wallace cross from the right, but he headed over the bar when it should have been on target. There were a flurry of substitutions from the Clarets towards the end of the game but by then this one had 0-0 stamped on it and I'm not sure either side would have found a goal had they been playing until midnight. There were positives. The two full backs did well and, on first viewing, Trippier looks as more than useful acquisition. Paterson also looked sharp up front and it's good to see him back. The other positive was that there were several players missing tonight who you would think would be certain starters come a week on Saturday. I expect them to play against Sunderland in four days time when I'm sure the team will be much closer to the starting line up for Watford. Oldham: Sam Johnstone, Carl Winchester, Zander Diamond, Jean Yves M'voto, Paul Black, Filipe Morais, Dean Furman, Trialist, Chris Taylor, Reuben Reid, Matt Smith. Subs: Matthew Carr, Luke Simpson, Kieran Lee, Kirk Millar, Connor Hughes, David Mellor, Ryan Brooke. 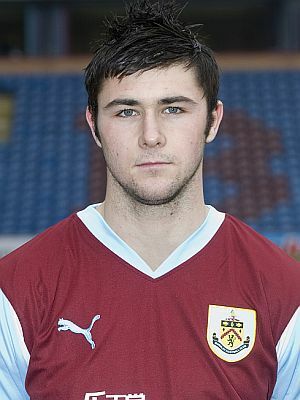 Burnley: Lee Grant (Jon Stewart 88), Kieran Trippier (Kevin Long 80), Michael Duff, Brian Easton, Danny Fox, Ross Wallace (Joe McKee 90), Wade Elliott, Marvin Bartley (Wes Fletcher 80), Alex MacDonald, Martin Paterson, Charlie Austin (Steven Hewitt 64). Subs not used: Alex-Ray Harvey, Dominic Knowles. Attendance: 2,153 (including 884 Clarets).